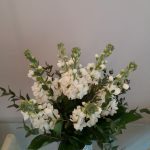 Pretty ceramic blue floral jug with all scented white stocks. 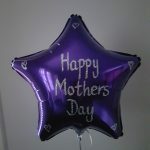 Heart balloons available. 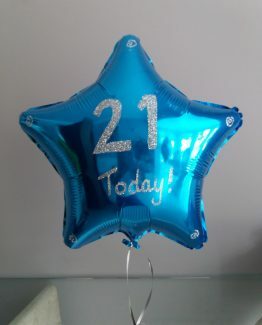 Please add this to the order notes. 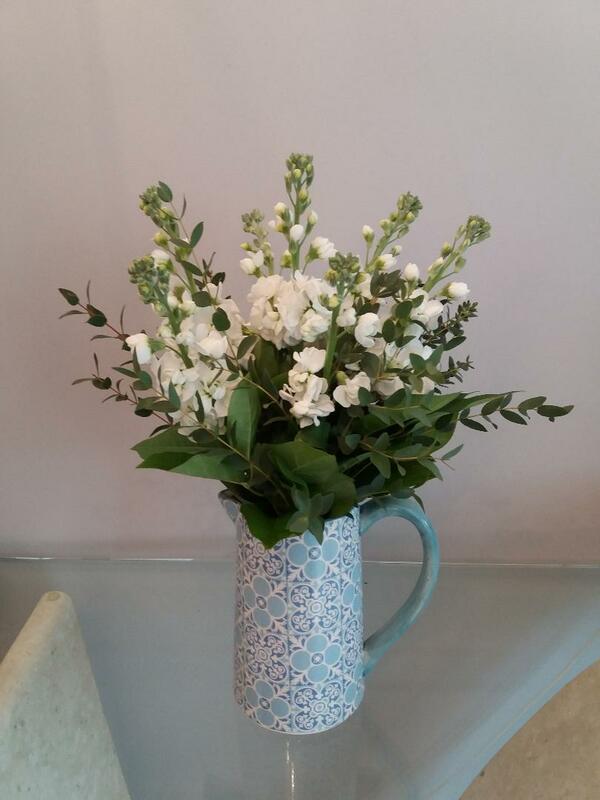 This hand tied comes in a beautiful ceramic blue floral jug. 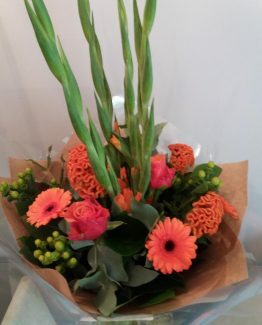 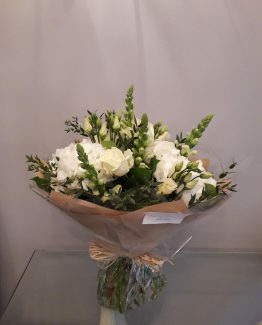 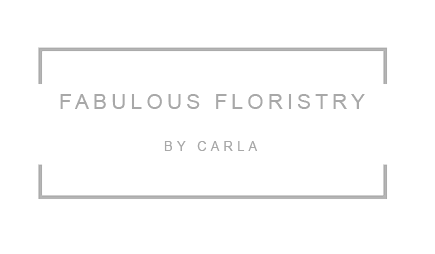 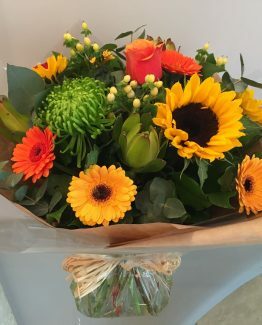 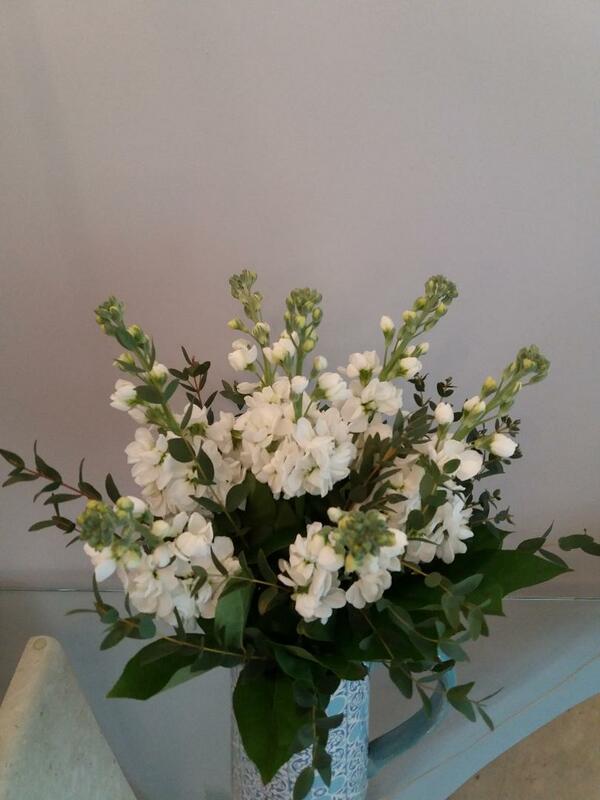 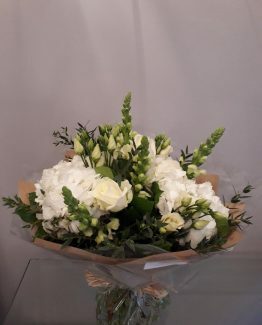 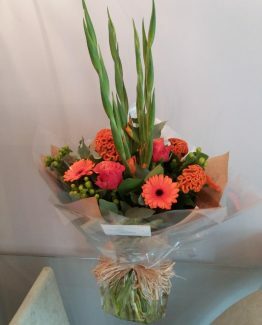 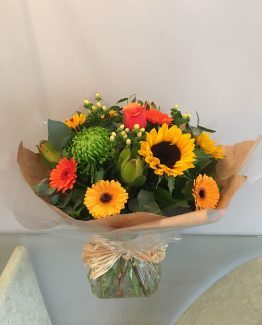 *Please note that we might need to substitute flowers due to availability or season. 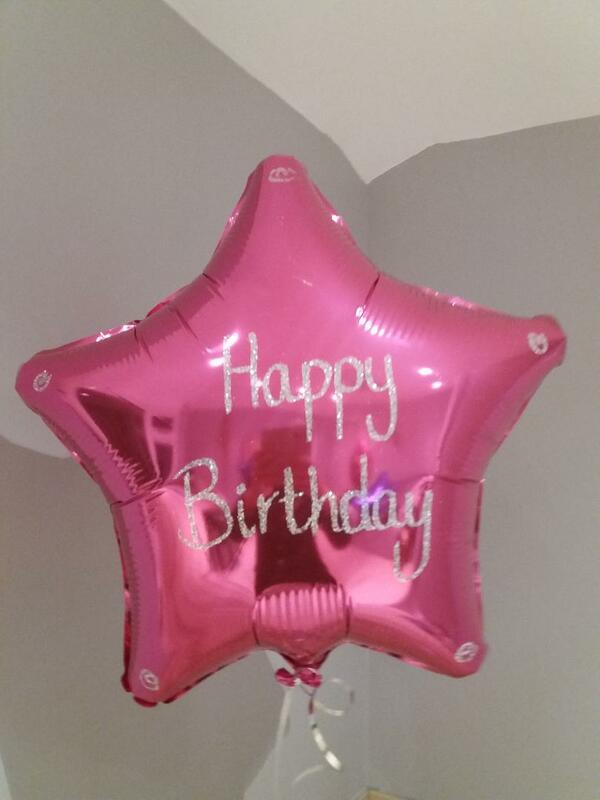 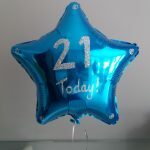 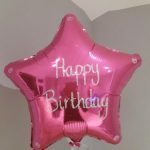 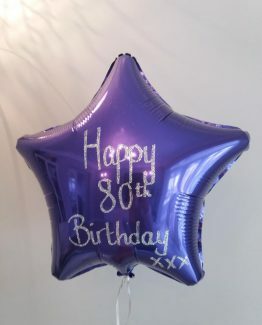 Personalised star balloons are available in pink, purple, blue and green. 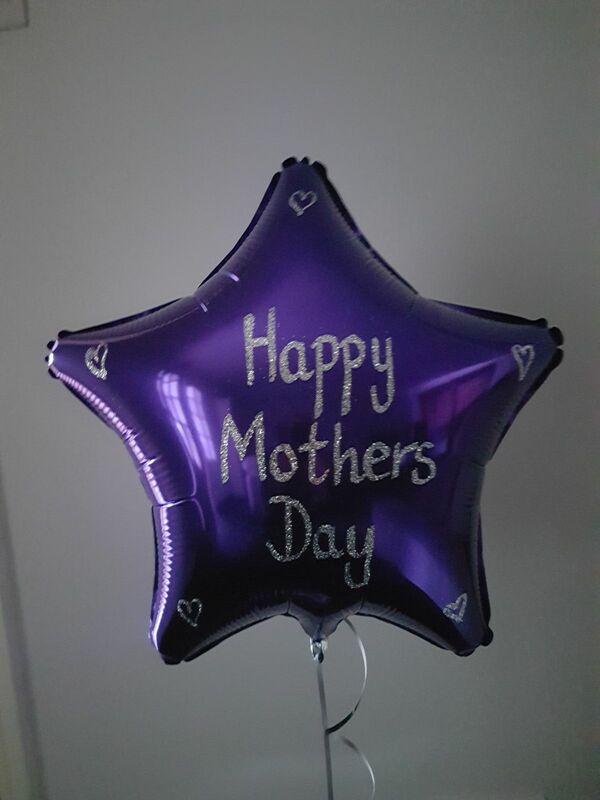 Please specify what name or wording you would like on the balloon in the Order Notes at the checkout.